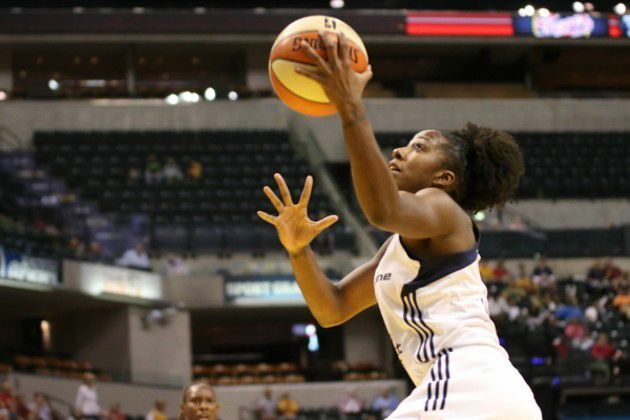 The Indiana Fever lost to the Atlanta Dream at Bankers Life Fieldhouse. Angel McCoughtry gets past Marissa Coleman for the layup. Shenise Johnson made her way in for two points. Pacers rookie players Rakeem Christmas, in the red hat, and Myles Turner, in the black hat, showing their support for their Indiana Fever. Shavonte Zellous lays up for two points. Tamika Catchings drives the lane and gets the finger roll in for two points. Shenise Johnson with a left-hand layup. Natalie Achonw and the Dream scramble for the loose ball. Layshia Clarendon was put up a rare 17 points. Eriana Larkins gets clobbered by Matee Ajavon of the Dream and goes to the foul line. 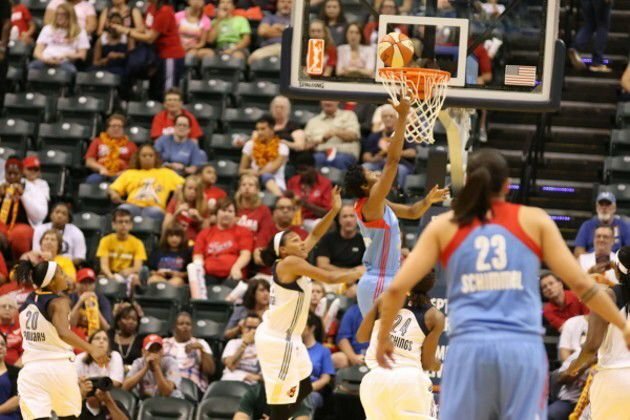 Tamika Catchings leaps for the ball and the Dream knock it out of bounds. Three points for Tamika Catchings. Natasha Howard races to get the ball before it goes out of bounds. Soft-handed layup for Layshia Clarendon. One handed jumper for Tamika Catchings. Shenise Johnson forces her way past DeLisha Milton-Jones and successfully gets the basket. Tamika Catchings with a beautiful finger roll.